EXPANDED PREMIER ''WILLIAMSBURG'' in The Village of BRIDGEPORT at MIONA SHORES! 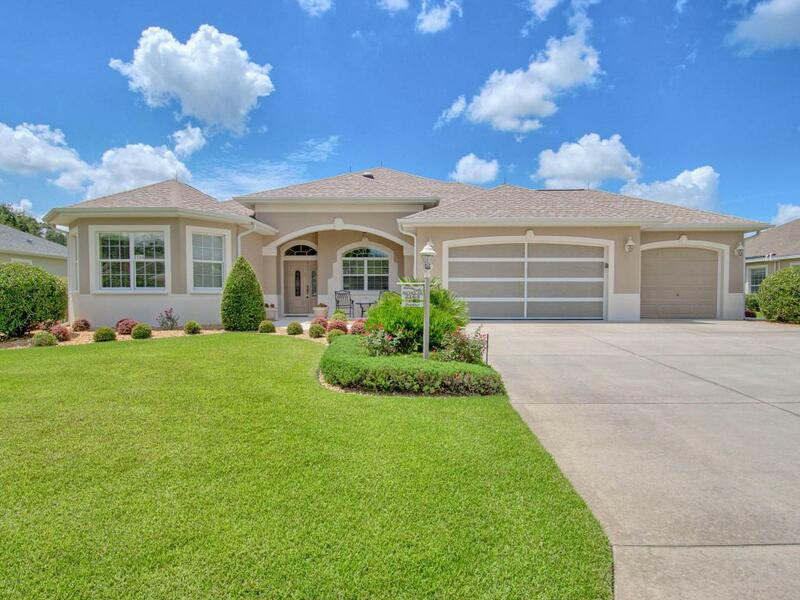 Stately Curb Appeal w/ wide drive to 3 CAR GAR & painted walkway to covered porch w/ LEADED GLASS DOOR ENTRY! Inside you'll be greeted by TALL Ceilings w/ CROWN MOLDING & PORCELAIN TILE! Foyer leads to open living space w/ TREY CEIL w/ LIGHTED MOLDINGS while the picturesque dining space is framed w/ columns. Through FRENCH DOORS is the FL ROOM w/ Porcelain Tile & an abundance of WINDOWS (w/ cellular blinds) & NATURAL LIGHT. 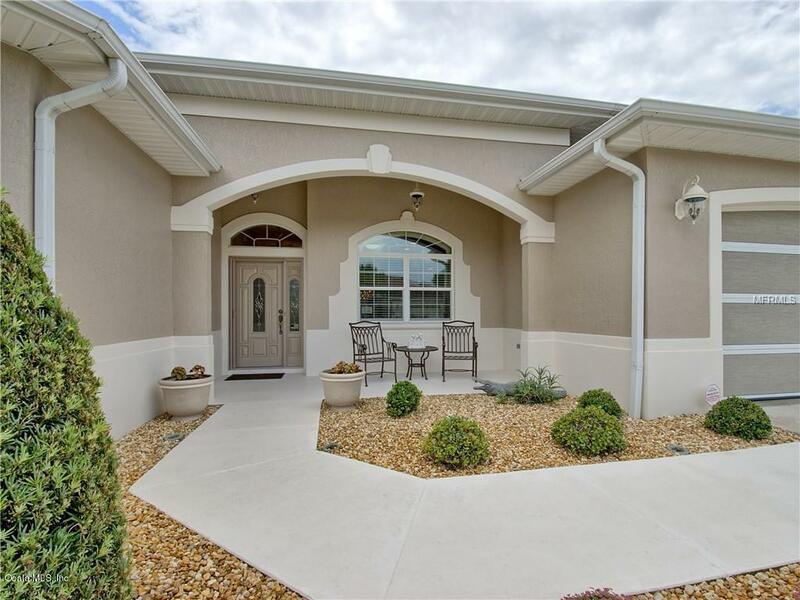 Adjacent is the added COVERED & SCREENED Lanai w/ TREY CEIL, Columns & Add'l Grilling Patio! The spacious kitchen boasts OGEE GRANITE Counters, STAINLESS STEEL Appl Pkg w/ GAS Range, NEW Fridge & Microwave, Over & Under Cab Lighting, SOLAR TUBE & Breakfast Nook!The grand master suite features FL Rm access, HIS/HER Closets & Ensuite bath w/ Tiled ROMAN SHOWER w/ SOLAR TUBE, JACUZZI Tub, DUAL GRANITE Vanities + Sit Down Vanity & Sep Water Closet! The guest wing, made private by pocket door, boasts two spacious bedrooms - one w/ 2 CLOSETS & one w/ WALK-IN Closet & Guest Bath Access! The guest bath features GRANITE, Tiled Shower/Tub Combo, SOLAR TUBE & Linen Closet! 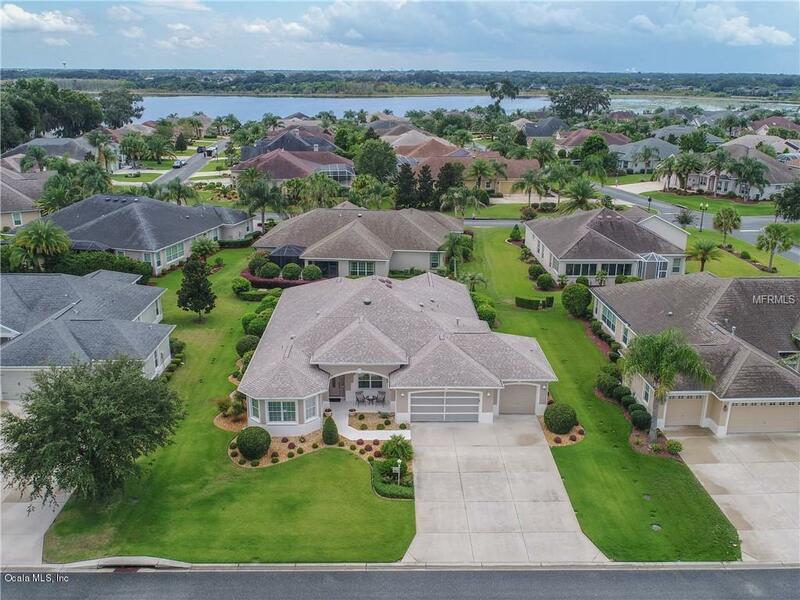 Add'l Features: Climate Controlled STORAGE Rm in Garage, Attic Stairs, Surround Sound, DUAL A/C Units (16 & 14 Seer), NEW ROOF, Front & Rear Motion Security Lighting, Automatic Garage Screen Door & Situated on Cul-De-Sac Street - No Thru Traffic! 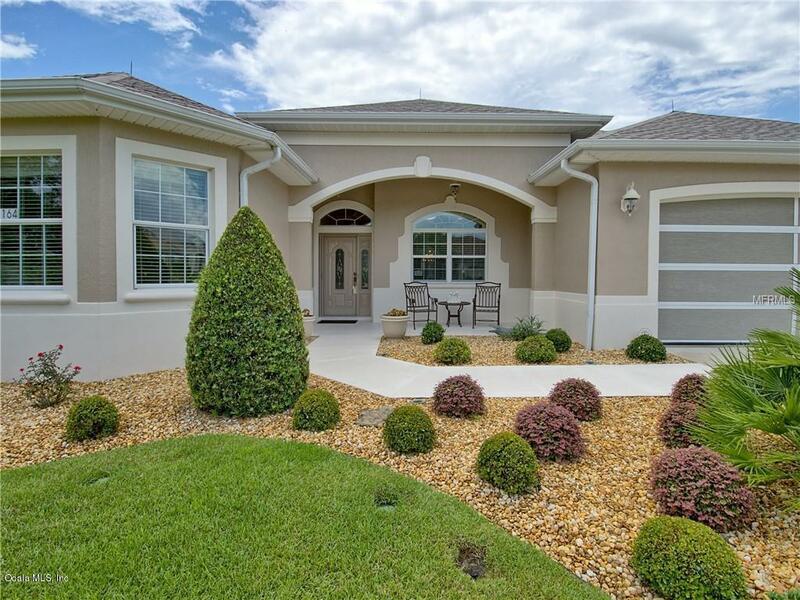 Bridgeport @ Miona Shores is an exclusive enclave of Premier Homes w/ Community Pool & Many Activities!